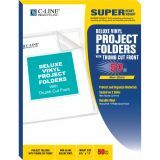 Super heavyweight, non-glare, see-through folders thumb-notched for easy access. 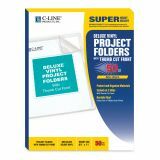 Sealed on two sides for security. 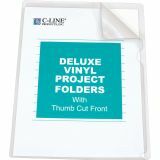 C-Line Deluxe Project Folders, Jacket, Letter, Vinyl, Clear, 50/Box - Super-heavyweight, vinyl project folders divide and organize all your materials. 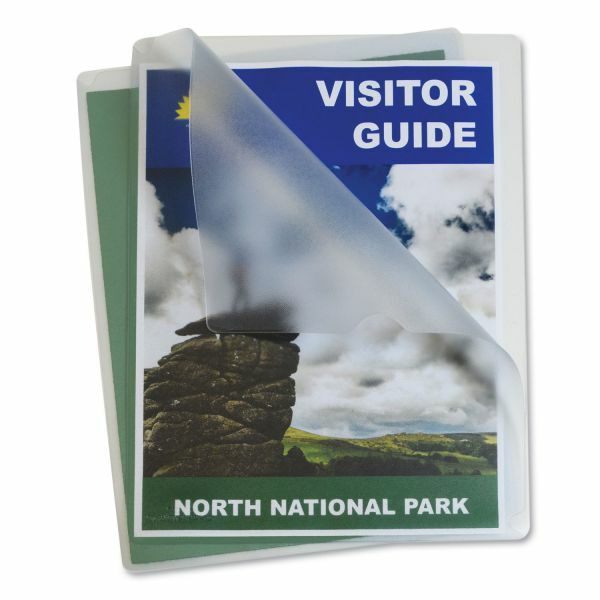 Design features an embossed, pebble-grain finish and nonglare surface. 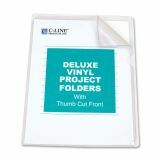 Each folder is sealed on two sides with thumb-cut front for easy loading and access.